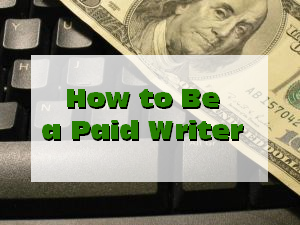 Today is Lesson 1 in a new series here on Freelance Writing Jobs that will teach you How to Be a Paid Writer. If you’re just getting started in the world of writing to earn a living, then this series is for you! It might seem obvious, but I’d be remiss if I didn’t start this series at the very beginning. Anyone who wants to become a freelance writer (or any kind of writer) who is paid for their words needs to know how to write. That doesn’t mean you need to know every little grammar rule, but you do need to know most of them. If you don’t know where to put that comma, stop writing and look it up. Keep tools like the Chicago Manual of Style or the Associated Press Stylebook handy while you write, but more importantly, educate yourself before you even start writing. Read the posts from the Freelance Writing Jobs Grammar Guide and take online courses such as the lessons provided from The Guide to Grammar and Writing. Grammar is just the first step to learning how to write. You also need to be able to put words together to form interesting sentences and paragraphs. Read books like The Elements of Style and On Writing Well to learn some of the essentials. Also, take a course at a local community college and join a writing group in your area to get feedback from other writers. Joining a forum like the one offered at AbsoluteWrite.com can also help you hone your writing skills and learn from other writers. Finally, before you start writing, you need to determine what type of writing you want to do. Writing for one medium is not necessarily the same as writing for another medium. For example, freelance writers who provide blog content are expected to write in a very conversational tone. On the other hand, freelance writers who provide content for financial magazines are expected to write in a highly professional tone complete with jargon and messaging a specific target audience would understand. Similarly, the structure of sentences and paragraphs on a blog differs greatly from what is used in magazines or newspapers. One style or structure is not better than the other. They’re just different, and you need to understand that difference so you can adjust your writing style and structure to match the medium in which your writing will be published. Once you determine what type of writing you want to do, you need to start reading other writers’ works in that style. Read anything and everything you can get your hands on and dissect the tone and structure of those pieces to learn what works and what you need to import into your own writing to have a chance at successfully competing in the freelance writing market and see your content appear alongside of other seasoned writers’ content and articles. Bottom-line, becoming a freelance writer takes time, patience, persistence and a willingness to continually learn and grow. Very few writers achieve overnight success and very few writers are rich thanks to their writing. However, you’ll never know what the future holds for you as a writer unless you learn to write first. Stay tuned for Lesson 2 of the How to Be a Paid Writer series where you’ll learn more about setting expectations for your life as a writer. As you write, you need to be aware of spelling and grammar, but it doesn’t end there. You also need to proofread your work. Keep in mind, proofreading your own work is never full-proof, but you should try to catch and fix as many errors and inconsistencies as possible. If you can’t write well, you won’t get quality writing assignments that can truly grow your career and business. Make sure you get feedback on your writing by joining a writer’s group or taking some courses. You can also pursue self-study online or through books about writing to ensure you can actually craft clear, compelling, and well-written content. You can’t be modest when you’re trying to get work as a freelance writer. Instead, you need to turn into a marketer and really sell yourself as the person for every gig! It takes a while to learn how to market yourself, so be prepared to spend time on this part of your business. In order to write, you’ll often need to do research, double check that facts used in your writing are accurate, cite sources, and make sure you can backup your claims. If research bores you, then freelance writing might not be right for you. The worlds of publishing and media are changing so fast that writers need to be prepared to write for a wider variety of media and to learn new skills applicable to new media. For example, writing for the web often requires a knowledge of search engine optimization writing techniques. Today’s freelance writers are constantly learning new things. Freelance writers who work for themselves are small business owners. They need to manage expenses, pay taxes, invoice clients, collect payments, and more. These are all business-related tasks that take up time but can’t be avoided. 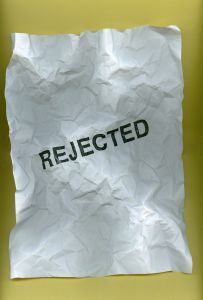 Freelance writers need to be able to handle rejection and criticism. If you’re easily offended when someone tells you they don’t like something you wrote, then freelance writing is probably not the best career choice for you. Freelance writers have to communicate with clients, editors, and more on a daily basis. You need to remain professional at all times. While the worlds of publishing and media are changing, they’re still proverbially small worlds — which means your reputation is at stake with every interaction because word travels fast within both worlds. I’m thinking back to the early days of freelance writing. I’m remembering a time when the possibility of landing freelance writing jobs was overwhelming, yet seemed very real. I’m remembering the days when I couldn’t wait to look for work, but was afraid to look for work. I’m remembering the time when fear and lack of confidence kept me from doing more than reading the freelance writing job ads. Today, we’re going to talk to the folks who want to write in the worst way, but something is keeping them from taking that first step. Today we’re going to discuss landing that first freelance writing job. If you’re scanning the subheads below, you might think, “well that all looks easy enough, I can do that.” Yes, you can, but it’s not easy. I can tell you that you may not land the very first gig you apply to, and you will make all sorts of mistakes. Just because you’re taking those first steps, doesn’t mean you’ll actually land the gig. However, nothing will happen if you don’t try. My friend Kurt wasn’t a writer, but he wrote well and his friends encouraged him to continue. He’s dabbled in novel writing, but never really sought out freelance writing jobs. When a friend with a car website approached me to ask if I knew anyone with a passion for cars, Kurt was the first person to come to mind. Kurt wasn’t a writer in the traditional sense of the word, but I didn’t know anyone else with such a genuine passion and enthusiasm for cars and motorcycles who also wrote well. Now my friend Kurt is lead writer for RideLust and works as an automotive journalist. As I write this, there’s a long list of luxury cars waiting for Kurt to have a turn at driving (for two weeks at a time) and reviewing them. Kurt is freelancing full time, talking about his passion. You can be a generalist with your writing, this has worked for many people. In the beginning, I wrote about saving money and family finances. It wasn’t until I blogged for a few years that I began writing about writing and blogging. Think about all the things you love or the things you can do best and exploit your passion. So here’s the kicker – just because you’re good at something doesn’t mean you can write about it. First of all, there may not be any gigs available in said niche, but also, you may not have the writing skills. It’s easy to get writing gigs every day. For some clients it’s more about cheap labor than hiring the best writer for the job. However, if you’re not a very good writer you’ll only get the cheap gigs. Be realistic about your talent and skill. If you’re always having your writing corrected or don’t know basic rules of grammar, consider taking some writing courses or having your work critiqued. We all think we’re good writers, but sometimes we’re in for a major reality check. I can tell you that I thought I was one great writer when I graduated from school because my family and teachers told me so. However, when I began working in publishing I learned from the editors there that certain things needed work and I went to school. There’s no shame in brushing up. Ok, so now you know you have mad skills and something to offer to the world. Where are you going to write? Do you want to write a newspaper column or magazine articles? Do you want blog or write web articles? Would you rather explore business writing? There are so many possibilities available to you. Think about the types of writing that most appeal to you. But wait…you’re not done yet…. These gigs don’t just fall into your lap. Now you have to figure out what is involved with each. You can say that writing white papers looks interesting, but unless you’ve done so, you’ll need to know a little about it. No one is going to hire you if you don’t have a clue about white papers are and how to write them. Think about your skills and the best way to profit from them. Research all the different ways to break into these gigs and markets. One of the biggest mistakes I made as a freelance writer is not researching markets enough. I knew about magazine markets from publishing, but I thought all markets were the same. Though I landed the first job I applied for, the rest didn’t come so easy. Not knowing a thing about approaching the markets wasn’t a smart move. I did better after I took the time to research. You may be tempted to fiddle with those freelance writing rates. You might want to bargain in order to get your foot in the door. Sure, you could try that. Consider this though, when you negotiate lower rates, clients catch on quickly. They know you won’t stand firm. They know they can talk you down. If you’re firm, you will land the clients who will respect your rates, but make no mistake, they will expect value in return. Sure, there may be times when negotiating might be in order. For example, if you’re tackling a variety of projects or if you want to offer a trusted client a discount to reward customer loyalty. For the most part, your rate is your rate. Stand firm. It may be harder to find gigs with this rate at first, but once you land a few clients you’ll be happy you held your ground. Be the one to set your rate and clients will be less likely to lowball you. It’s time. You know you have skills, you know what you want to do and you know what you want to charge. What else is there left to do but start querying and submitting. Notice I didn’t say “look for work?” That’s because if you’re like me, you spent a lot of time looking for work already. You know what’s out there. You can look for work until the cows come home, but unless you actually sit down and start typing those queries nothing’s going to happen. Stop looking and start taking action. Notice how everyone wants samples of your writing? This shouldn’t be a deterrent. Unless a potential client specifically asks for “published” samples, you can create a few relevant samples to send with your query or application. Samples are meant to give potential clients an idea of your writing style. If you put your best effort into some samples, some clients will hire you, regardless of whether or not you have published work. We’re starting a query letter series here at Freelance Writing Jobs, and also, Linda Formicelli often features “query letters that worked” at her wonderful and helpful Renegade Writer blog. Do investigate successful query letters before submitting your own. Editors are sticklers for details so proofread several times over before hitting “send.” If necessary, enlist another pair of eyes. As you gain more experience, the query and application process will get easier. When I worked in publishing, many of the editors had stacks and stacks of queries and submissions to go through. Many of them put it off as long as possible. I know one editor who only looked at queries once a month. When freelancers called to inquire about the status of their queries, we would unearth them from the pile and take a look. Not hearing from an editor or potential client is frustrating. Many times, they only respond to the person who landed the gig. Many times your query is lost in a pile somewhere. There’s nothing wrong with waiting a couple of weeks and sending a polite follow up. A few years ago, there was a gig I really wanted. The pay was terrific and the subject matter was right up my alley. I sent in a cover letter and some of my best writing samples. Three weeks later I sent the client a polite letter, only a few lines long, to follow up on my application. I told him I’d love to discuss the gig in detail more. The client sent me back a note telling me he already chose someone for the gig. However, two weeks later he contacted me again saying his first freelancer didn’t work out and since I seemed to really want the job he offered it to me. We still work together from time to time. Now that you sent out your first query, cover letter or completed your first application, what will you do? I hope you’re not going to rest on your laurels. You may not land your first gig. You also many not hear from a potential client right away. Continue querying. Use it for practice. Don’t stop after one try. The third time might be a charm or you it may take until your 20th try. Eventually your persistence will pay off, but only if you continue looking for work. 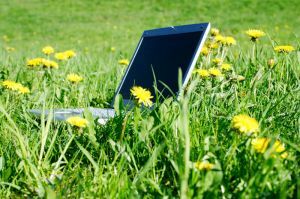 Are there easier ways to find freelance writing jobs? There are plenty of easier ways to find work, for example you can work for content sites. However, most content sites are not high paying opportunities. You’ll have to see how they fit into your game plan. Is this the type of writing you want to do? Is this the rate you want to earn? If so, by all means start out writing for content sites. After a little while, take that experience and your new found confidence and look for higher paying gigs. I don’t think there’s anything wrong with writing for content sites, I did. Be careful though. You can find yourself getting caught up in the “easy” lifestyle. Content sites can be a terrific springboard to more lucrative gigs, but the easy way isn’t always the realistic way. Sometimes writers start with content sites to get their feet wet and that’s all they’re doing three years later. Make a game plan if you’re going to take on content site work. Use it to start out or supplement your work. Use it full time, if that’s what you want to do, but make sure it fits in with your vision. Freelance writing is work. It’s not a fun “bon bon and bunny slippers” gig. We work hard to find work, we take pride in what we do, and we work hard to give our clients the best writing possible. Before you embark upon a freelance writing career, be sure you can deliver. Take it seriously as you would any other job and you’ll do fine. Do you have any questions about finding or landing freelance writing jobs?